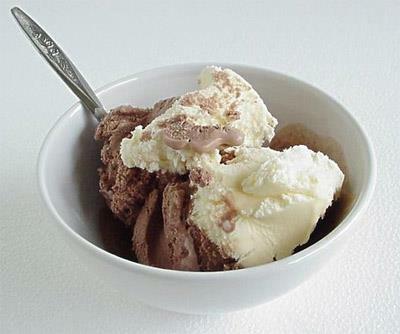 Read about 'How to prepare delicious and sweet Ice cream easily in your house itself'. Ice creams are the sweetest and favorite item that people of any age would love to have a scoop. There are lots and lots of ice creams of different flavors available in bakeries. In this article you can learn how to make different flavors of ice cream in your house itself very easily. The word ice cream is derived from 'cream ice' or 'iced cream' which are usually made using different dairy products and thus they are not even tasty to eat but it is healthy and excellent source of energy also. But keep in mind that it's over eating is harmful for us as it contains high percentage of fat and could even make you obese. Large amount of milk fat is present in some premium ice creams. Ice creams are the sweetest and favorite item that people of any age would love to have a scoop. There are lots and lots of ice creams of different flavors available in bakeries. But you will not get the full satisfaction and talent when you have them from outside. It will become even tastier if you make different types of ice creams on your own and all mothers can impress their children with your sweet delicious ice creams. Ancient people used to pour grape juice over the snow which they save for warm days and they would have it in order to keep them cool from the hot climate. In this article you can learn how to make different flavors of ice cream in your house itself very easily. It is more preferred to use the pulp of mango as it is tastier and easily available in Kerala also. Beat the egg, egg yolk, milk and sugar all together and cook it in very slow fire. Stir it till it coats the spoon and does not boil it further more. When the mixture is ready then, allow it to cool. Whip the cream little and add the cooled mixture and pulp. You can use different varieties of fruit pulp according your likes. Keep it in the freezer for a while and when it is half set, whip it again and add little amount of essence into it if you need. Then keep it in the freezer until it gets completely frozen up. When it is ready, take it out and serve it in small dishes after your meal of any time you wish and enjoy the magical taste of this special type of Ice cream. It is more preferred to use the pulp of mango as it is tastier and easily available too in Kerala.